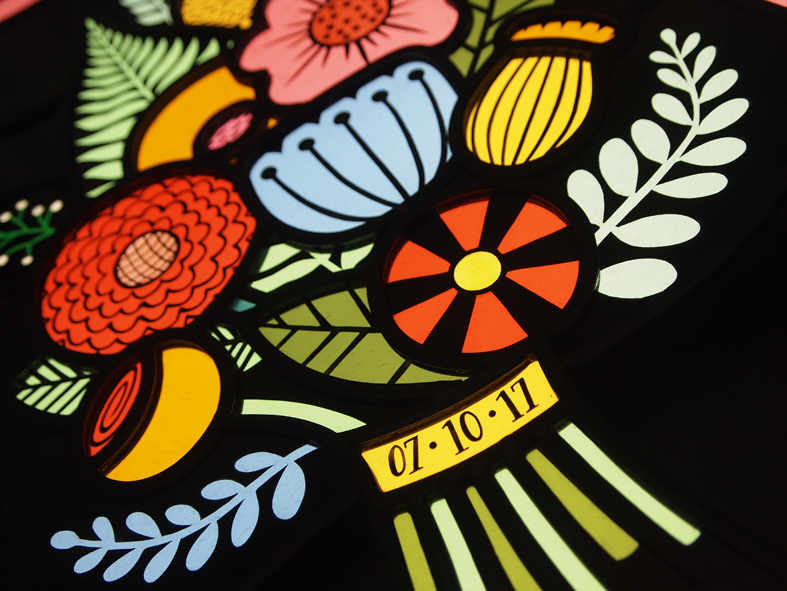 A new bouquet panel, the third I have made (you can see the others here). This was commissioned as a 1st anniversary gift, and the design was inspired by the bride’s wedding bouquet, which was made by Tupelo Tree, and was made up of seasonal, native foliage as well as beautiful dahlias and ranunculus. There are also a few imaginary blooms in there, because what’s not to love about an imaginary flower. The border was based on the one that surrounded the wedding invitations, which were designed by the groom. 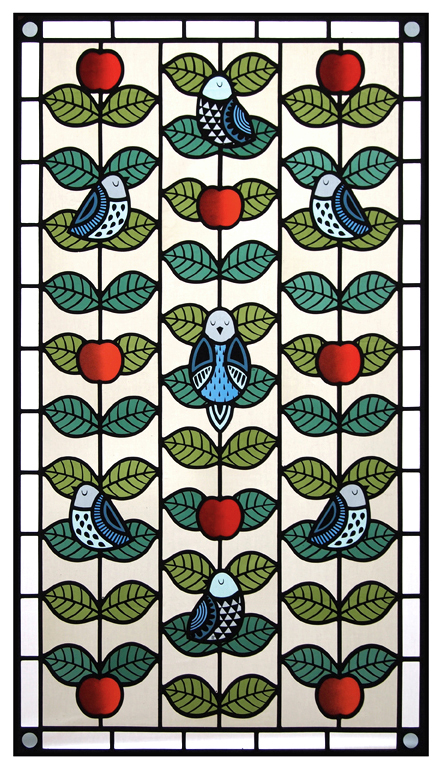 The brief for these front door panels, for a 1960s house in Kent, was to design something that referenced 1960s design but also sat comfortably alongside the existing Victorian stained glass in the period houses in the rest of the street. The client listed a selection of artists and designers whose work appealed, including Josef Albers, Marimekko and Orla Kiely, and the theme of the panels was based on an old apple tree in the garden that had special meaning to the family. 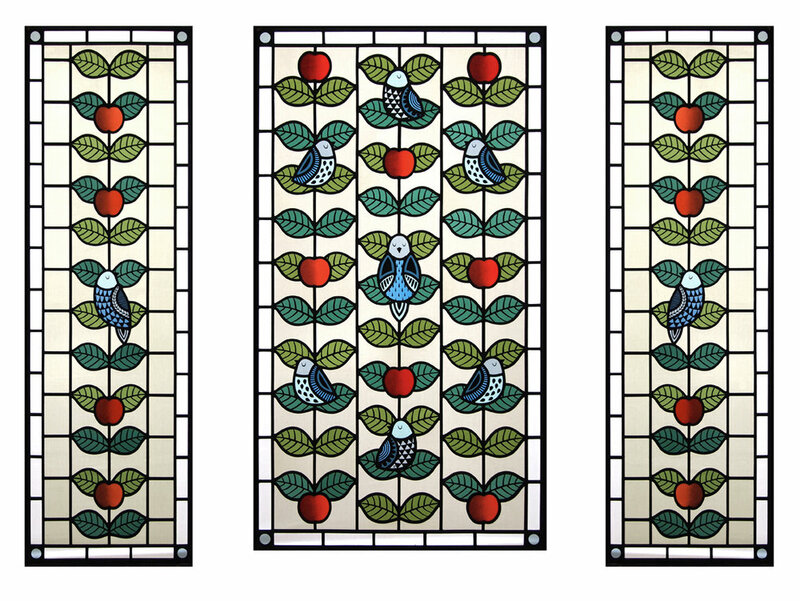 The windows were designed, painted and constructed by Flora Jamieson, and fitted by R. G. Croudace Glass. Thank you for your message, I will reply as soon as I am able. Thank you for signing up. Please check your email for confirmation.